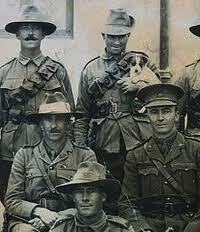 Australia's Fighting Sons of the Empire is a compilation of biographies and photos of many Australian soldiers who fought in the First World War. It includes many soldiers - each with significant detail of their fighting life. Plus, there's often many other significant details about their war activities - and even their families. So, if you're building a family tree or want to know more about your family history, you can't go past this amazing genealogy resource.